4:00 PM - 8:00 PM Rock n Reggae @the Sandbar - Cocoa Beach Jeff Marquis Rock n Reggae @the Sandbar Cocoa Beach - Every other Friday!! BooYah! 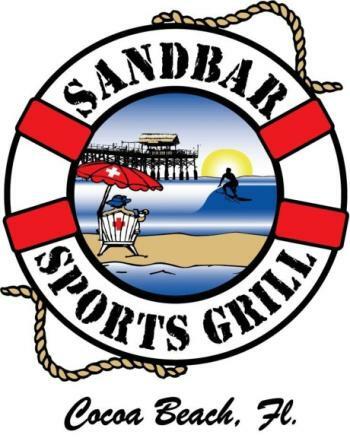 4:00 PM - 8:00 PM Wild Cards rock the Sandbar Sports Grill Wild Cards The Wild Cards return to rock the Sandbar Sports Grill. Great music, food, drinks & fun only a few steps from the beach! 4:00 PM - 8:00 PM Radar Red Live at Sandbar! Radar Red We Play Rock Dammit!